There are many ways to put together a spread betting system, perhaps even more than the number of spread betting participants, as everyone puts their own “spin” on a system. There are only so many basic underlying principles however, and this article details one of them. It is difficult to make money trading the financial markets. 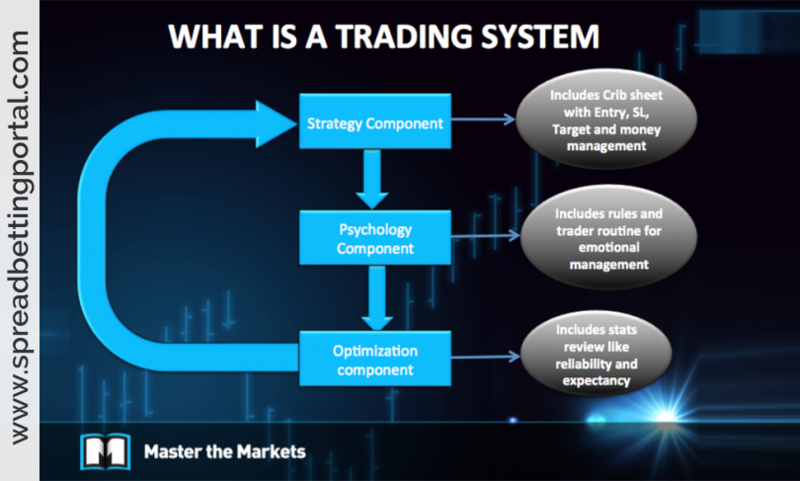 No one day trading system can work all the time – markets are in a constant state of flux. Making money from trading is a boring activity. Some years ago there was a system being run by some S&P500 Options traders. They turned $100,000 into $3M (or something like that) over a 4 year period. It was all done and shown real time on a web site. It was a simple system, selling far Out The Money SPX Options. They used massive amounts of Margin, and they were ‘Margin Called’. They needed something like $4000 margin to make $20. No trace of them now! Systems work until they don’t! 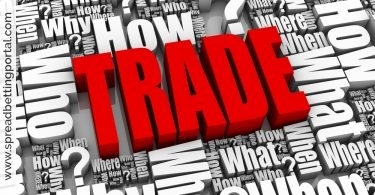 There are sharks out there who will offer you a surefire trading system, their own little ‘black box’ that they claim will start generating thousands for you in no time. But the truth is that like anything that is worth having in life, it takes time and dedication to learn how to trade successfully and consistently, so you will need to make a commitment and put in some effort. Don’t expect to do an hours work a week and be a millionaire in four months. Make a buy bet, and hold it until there is a signal to get out. All good ideas for a spread betting system, so it is just necessary to quantify what to use for each parameter. First, we define “going up” by visual inspection, or by looking at moving average combinations, with the shorter term moving average above the longer one, or by another technical indicator such as the ADX. If we choose, say, to look at betting for a period of days, then the sector should have outperformed the overall market by at least 5% over the last four weeks, and the stock should have outperformed its sector by at least 5% in the same time – these numbers are just for the sake of example, and you will come up with your own. Figuring out how much to stake is next, and there are several ways to do this. The fundamental principle is that you do not risk crippling your account if you happen to have several losses in a row. You need to take into account where your stop loss will be going, which should probably be below the low price of the past few weeks, in other words if the price goes down to there, the trend has failed. Taking this value you can work out how much you would lose for a given stake if the stop loss is hit, and the most it should be is probably 2% of your account. All that is left is to place your bet, and wait to see what happens. Depending where the price goes, this simple spread betting system has several indications that would make you close the bet. If the individual stock fails to outperform the market for a couple of weeks. 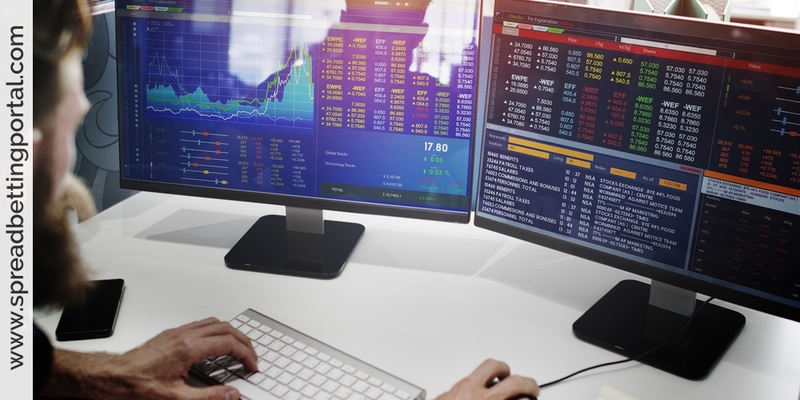 Although it seems obvious, this spread betting system is a commonsense way to bet on the markets, and that is something that not all spread bettors have. It makes much more sense than “going with your gut” or “taking a gamble”, and if you implement it consistently the spread betting system will help you to make a profit. It is important to observe and appreciate that ‘consistency’ of profit far outweighs the amount of money made on any particular trade. So, the goal remains always a basic tenet – to develop a method, which produces consistent profitability, based on market truths. There are many ways to beat the system when betting on financial spreads. The following spread betting system was tested before by many people including me. This system will make you small profit (depends on the amount you bet) but it requires some effort in order to win. The more money you invest in the bets the higher your potential profit. 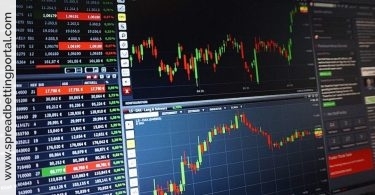 There are many financial spread betting companies offering the same types of bets. This system was actually taken from sports spread betting as it’s pretty much the same just betting on different type of markets. Open several account in financial spread betting companies. At least 4 different accounts with 4 different companies. Make sure the accounts are legitimate and the details you enter are real. They must be real as you will eventually need to withdraw your winnings. 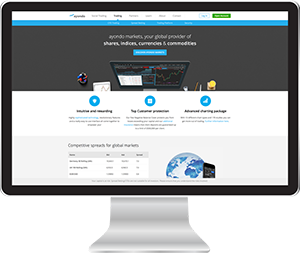 Find a market that appears in all of the financial spread betting platforms. I will use oil as an example but you can easily choose a stock or a commodity of your likings. Compare the spreads. You will soon find that the spread betting companies offer and identical spread or almost identical – and that almost is the key word here and the heart of this spread betting system. Choose 2 different spread betting companies who offer an almost identical spread where choosing a long bet (the value will go up) and a short bet (value will go down) and placing the same amount of bet will cause you either to win or lose but the amount you will win will cover FOR SURE for the amount of the bet and the amount you lost. This basically means that your profit margin will be very low, but the bottom line you will make a profit. This also means that you are betting with no risk (it’s a sure bet), unlike the stock market indexes and the relevant boxes online. Make sure to use the stop loss feature with this bet and bet responsibly. Don’t be tempted to do anything which goes out of this system. People often forget that the turtle trading system was an experiment to prove whether it was possible to teach trading or whether successful trading was something you were born with. The strategy was a winning strategy for its mentors but it was not without problems. The draw downs can be around 30% and for long periods so it’s a very emotional strategy even if it is done robotic. To lose 30% of your capital and still have faith in a trading system is a big ask. That is the problem with all strategies. Losing periods result in draw downs on capital and that is what leads to lack of discipline. Very few proprietary robotic systems will give you a likely drawdown figure but that is in my opinion the first place to start when building a strategy. It doesn’t matter how good the win: loss ratio is or the profit expectancy, if you can’t stick to the strategy in the bad times, you are doomed to failure. If you can’t determine exactly what % drawdown you are honestly comfortable with you have no way to assess whether you will be disciplined enough to run the robot over a long enough period to generate consistent long term gains. Same applies the likely maximum length of loosing periods – they are also emotionally a killer, even when run with robots. The drawdown issue is also the reason why a trading strategy or spread betting system might work for one person but not another. On the positive side its good fun doing the strategy building and testing. I would reword this statement very slightly. Wins do obviously need to outweigh losses – but they don’t need to outnumber them. Many successful traders have more losses than wins. Losing 60% of trades and winning 40% is OK – and quite likely if exiting losers early – i.e. a high number of little losses. Simples to say but not so simple to do. Very big drawdowns can be involved with some spread betting systems and most traders can’t handle them.